TVS Apache RTR 180 Race edition has launched in India. The bike is based on the old Apache model and gets some new decals and graphics. However, the bike receives no mechanical and feature wise upgrades. Apache RTR 180 Race Edition is priced at Rs 83,233 (ex-showroom). 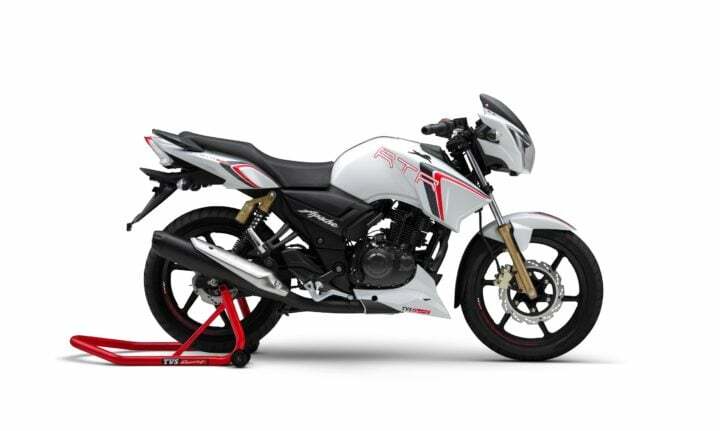 TVS‘s flagship bike, the Apache RTR 180 receives a new member in the family. The RTR 180 Race edition is made on the old RTR 180 Model, with added graphics and decals. It gets a unique racing carbon fibre theme with a new 3D TVS logo. The Race edition also features TVS Racing branded rim stickering on the alloy wheels. It has a digital dashboard with a blue backlit display and numerous tell-tale signs including a 0-60 kmph speed recorder, lap timer and service indicator. TVS launched the Apache series in 2006 and since it has been dominating the Indian sports bike segment. Since then it has launched many variants and the latest one to launch was the Apache RR 310, a pure breed sports bike. Currently, Apache RTR 2004V, RR 310 and RTR 160 4V are amongst the top-selling bikes in the country. The new Apache RTR 200 4V features a dual-channel ABS, Split Cradle chassis, Slipper clutch, fully digital display and Remora racing tires. Apache RTR 200 4V starts from Rs 95,685 (ex-showroom). 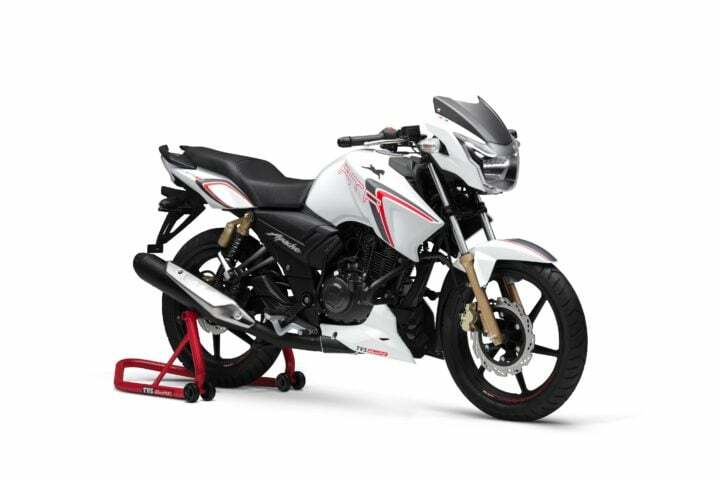 The TVS Apache RTR 180 Race Edition features a 177.4 cc Single Cylinder, 4 stroke engine which churns out 16.62 PS of maximum Power @ 8500 rpm and 15.5 Nm of maximum torque @ 6500 rpm. The motorcycle, which boasts of a 0-60kmph in 4.96s comes with a superior braking performance and has the best-in-class power-to-weight ratio. The fuel tank offers 12 Litres capacity. It claims to offer a mileage figure of 47 KMPL with an overall riding range of 564 Kms. Also, the front and rear disc brakes are standard in TVS Apache RTR 180 Race Edition. Currently, Apache RTR 180 has fewer competitors in its segment. However, it comes indirectly with the 160 CC and 200 CC bikes, given to Apache RTR 180’s pricing. It competes with Yamaha FZ S, Pulsar 200 NS, Pulsar 160 NS, Honda CB Hornet 160R and Honda X Blade. Most of the bikes fall into the 160 CC or 200 CC category. Currently, Apache RTR 180 is a little overshadowed by the Apache RTR 160 4V and Apache RTR 200 4V.